D. A. 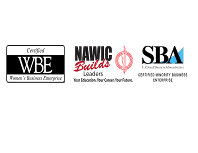 Van Dam & Associates, LLC is proud to be a wholesale plumbing Representative for the Advance Tabco Line. Since 1929, Advance Tabco has been manufacturing quality, long-lasting equipment. Advance Tabco is constantly evolving with the needs of new businesses to become a leader in the commercial products industry. In addition to its sanitary and Eco-friendly stainless steel products, Advance Tabco has been voted the Best in Class from 2001 to 2010 for sinks, worktables, faucets, bar equipment, floor troughs, drains, dish tables and smart fab Custom Fabrication in a FE&S Magazine poll. Advance Tabco is a highly sought after brand for fabricated products like sinks, dish tables, work tables, facutes, faucet replacement parts and shelving because of their ability to custom build almost any of these items to your exact specifications. Customizing your commercial kitchen has never been easier! Regular catalog items can be ordered with hundreds of modifications and accessories with SMART FABRICATION™. This type of customization starts with the largest inventory of stock models offered by Advance Tabco and gives you the ability to add the components you need for the everyday tasks in your establishment, allowing them to stock a comprehensive line of commercial stainless steel equipment and offer quick turn-around for customization. If the offered modifications still don’t make the cut, Advance Tabco can design and manufacture the equipment you require. In May of 2014, Advance Tabco purchased Supreme Metals, a quality food service epuipment company dating back to 1929. 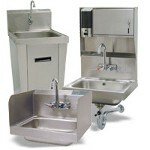 We now offer you restaurant equipment items along with the usual plumbing items.